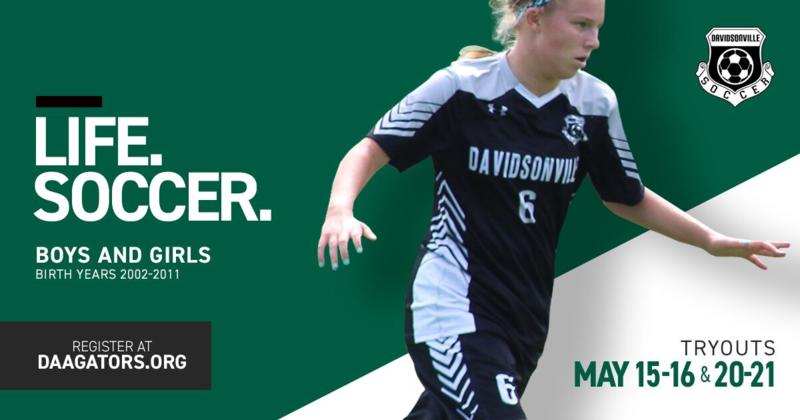 The Davidsonville Athletic Association holds annual open tryouts for our travel soccer program in the spring to form teams for the next soccer year (Fall-Spring 2019/2020). The goal of tryouts is the selection of players for travel teams within DAA. We are planning to field teams for all age groups starting with Boys/Girls U09 (birth year 2011 and older). Depending on numbers registered and talent-level we may field more than one team at a particular age group. Tryouts will be held the week of May 13th and 20th. Supplemental Tryouts (as needed) will be held as needed in late May/early June. Travel Teams are selected on a competitive basis. Positions on a team MUST be earned. Just because a player played on a team last year does NOT guarantee him/her a place for the 2019/20 season. Tryouts are open to any player and are free of charge. Players may sign up for and participate in more than one age group to which they are age eligible. Val Teixeira - Harrisburg Heat professional player - will lead the tryout evaluations. All tryout sessions will be conducted and assessments provided by impartial, highly trained, soccer professional/trainer(s). All final decisions on team placement will be made by the Travel Program Coordinator in conjunction with individual team head coaches. The independent assessments will serve as the basis for team selection. Players will be officially notified of their invitation to join a specific team via a computer generated e-mail.